For the academic year commencing September 2017, a total of 558 applications were received for the 40 scholarships. 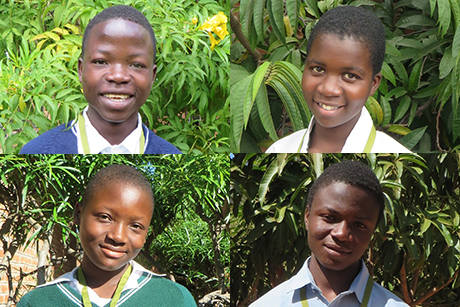 The scholarship winners had a gender-equal balance: 20 girls and 20 boys who are each attending one of four residential secondary schools run by the two dioceses. 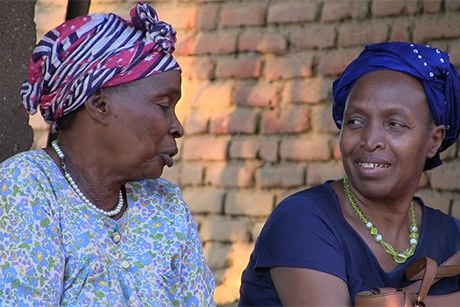 On the initiative of delegation members Kenneth and Fawn White, a new charity called the “Walking Together Foundation” has been formed to raise funds to continue the Malawi scholarship programme and for future ecumenical projects that may be initiated by other pairs of bishops anywhere in the world. The delegation of eight included Archbishop David Moxon, Anglican Co-Chairman of the Anglican Roman Catholic International Commission (ARCIC); Father Keith Pecklers SJ, Director of the Caravita Community in Rome, Professor of Liturgy at the Pontifical Gregorian University and Professor of Liturgical History at the Pontifical Liturgical Institute; and Mathilde Nkwirikiye, the internationally recognised human rights lawyer, whose husband Archbishop Bernard Ntahoturi is Director of the Anglican Centre in Rome and the Archbishop of Canterbury’s Representative to the Holy See. 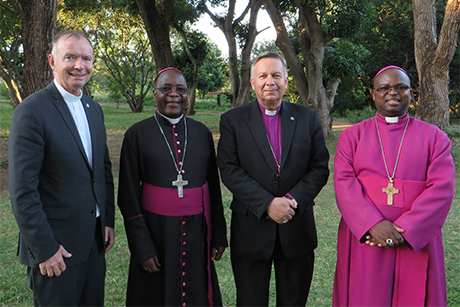 The delegation was welcomed by Bishop Brighton Vitta Malasa of the Anglican Diocese of Upper Shire and Bishop Montfort Stima of the Roman Catholic Diocese of Mangochi, whose ecumenical partnership gave rise to the scholarship programme. The delegation visited the schools, presented medals to the scholarship winners and visited some of the scholarship winners’ homes. At the end of the four day visit, an ecumenical prayer service was held at the chapel of the Chilema Ecumenical Centre at which stoles were presented to the bishops in recognition of their strong commitment to ecumenism and the success the scholarship programme has achieved since its introduction last year.